When he returned from the 1969 Apollo 11 mission—in which he became the first man to walk on the moon—Neil Armstrong brought with him a white cloth bag. In the bag was, he said in the mission transcripts, "just a bunch of trash that we want to take back." The bag sat, unseen, in Armstrong's closet for over four decades. Following his death in August 2012, Armstrong's widow, Carol, re-discovered the bag and, recognizing it as likely related to NASA's space program, contacted Allan Needell, curator of the Apollo collection at the Smithsonian's National Air and Space Museum. The white cloth container turned out to be a Temporary Stowage Bag (also known as a McDivitt Purse), which would have been affixed to the inside of the Lunar Module. Inside were a range of useful items, including a waist tether, light bulb assembly, helmet tie-down strap, netting, a mirror, an emergency wrench and, most notably, a 16mm movie camera with its 10mm lens, which would have been mounted behind the right forward window of the lunar module and used to film the final phase of the descent to the lunar surface, the landing, and Armstrong's and Buzz Aldrin's activities on the lunar surface. 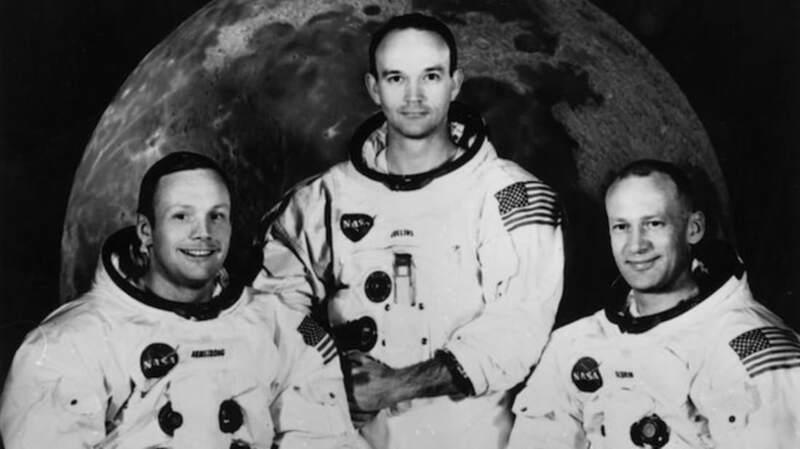 The items are particularly valuable because they were carried with the astronauts in the Lunar Module, the Eagle, which, when the astronauts returned to Earth, was detached from the Command Service Module (CSM) and left orbiting the moon. (What exactly happened to the Eagle is unknown, but according to NASA, it's assumed that its orbit eventually decayed and it crashed into the moon.) Because any added weight in the CSM had to be accounted for, the team described the container to mission control as "10 pounds of LM miscellaneous equipment," just "odds and ends." The data acquisition camera and waist tether from the Eagle are on display as part of a temporary exhibit called Outside the Spacecraft: 50 Years of Extra-Vehicular Activity at the National Air and Space Museum in Washington. The Smithsonian is in the process of documenting the rest of the artifacts and may, at some point, put them on public display. Detailed photos of all the items can be seen here.